When the first iPhone was released, 11 years ago, the starting price was $499. At the time, the price was mocked by Apple’s competitors as being unrealistically high. Apple did pull the price back for devices on AT&T contracts for the next couple phones, while the iPhone was still exclusively on the US network, but you could still buy one outright for $499 t0 $599. That’s about half of what a new iPhone costs now. 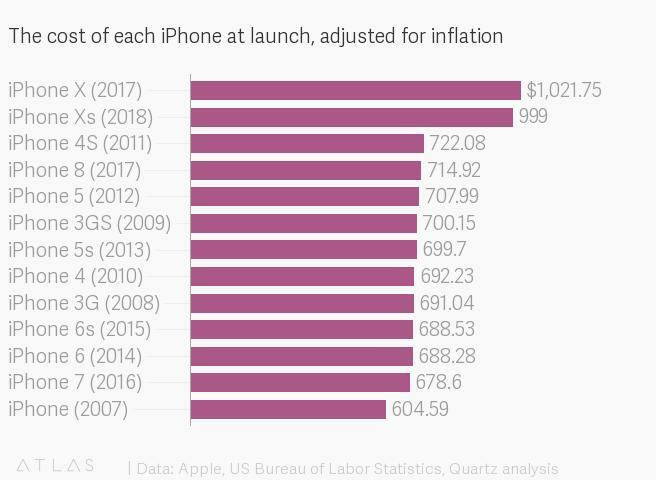 Apple’s most recent phones are its most expensive ever, starting at $1,000, before you add in sales tax, protection coverage, and anything else you might need to use your new phone. While the original phones may have seemed comically expensive to people at the time, we all know what happened. The iPhone turned Apple from a successful computer company to the most valuable business in the world, with the phones accounting for somewhere between half and two-thirds of Apple’s revenue in any given quarter for the next decade. 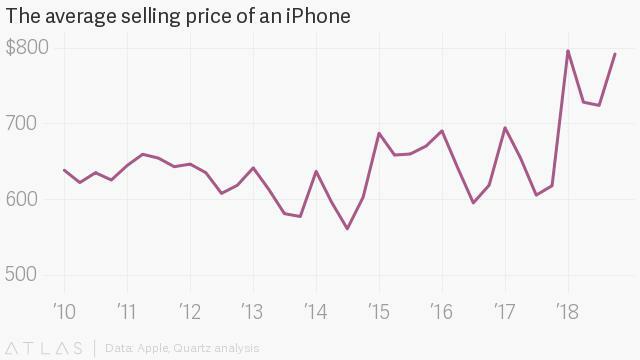 Recently, iPhones have dramatically increased in price, with the average cost of a phone the company sells now sitting at around $800, up from $650 just a couple years ago. Even after adjusting for inflation, no iPhone comes close to being as cheap in price as the 2007 original. Of course, a new iPhone offers quite a bit more than its decade-old one sibling. The original iPhone came with a 2-megapixel camera (which couldn’t record video), 4 GB of storage, and a 3.5-inch display. The new iPhone Xs has two cameras (12 megapixels each), 54 GB of storage, and a 5.8-inch HD display.